Keeping Up With the Courts: Think Pink! It's October, and in our family that means it's Breast Cancer Awareness month. As most of you know, our mom is five a year survivor. It's a cause we believe strongly in because it hits close to home. My favorite month of NFL football is October, and it's all because of Think Pink movement that has swept over the league. Some people think it is stupid to see pink football cleats, or even better, the pink ribbon Tracy Porter had shaved and died into his head. But I think it is an an example of people at their finest. 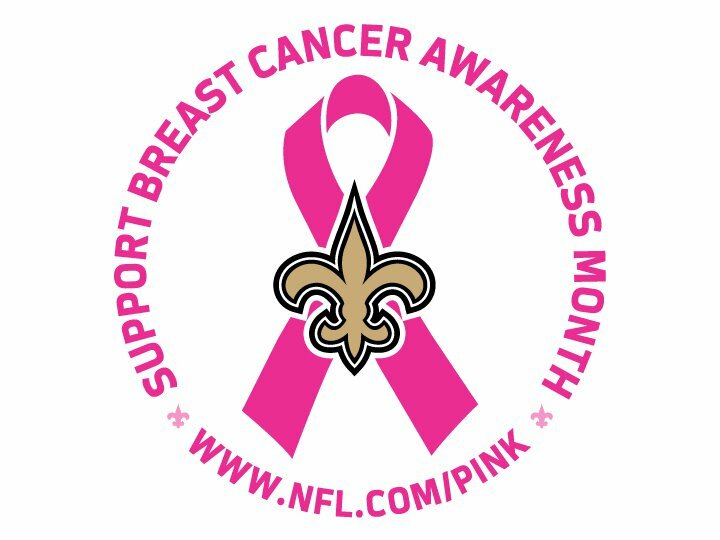 An increase in breast cancer awareness saves lives, and I am proud to be apart of an organization that has made an amazing effort in the fight. See, in 1999, my sorority (Zeta Tau Alpha) partnered up with Tanya Snyder.... the wife of Dan Synder... who owns the Washington Redskins. Who is also a survivor. In 1999, the the Redskins were the only football team who participated. Local Zeta chapters showed up to pass out pink ribbons at FedEx field. Now, almost every team participates. Special towels... special hats... special cleats... you've seen it for yourself. Like the ladies say... real men wear pink. And although there are those few of those few who don't think pink should be on the football field, it does its job. You remember. And awareness is half the battle. So wear pink this month. You could save someones mother, daughter, sister, and wife. I know I sure am thankful who led the way for my mom... and it's time to pay it forward. P.S. - I collect Yoplait pink lids, and if you save them I will be responsible for getting them from you and turning them in. Maybe we can't change the world ourselves, but together we can make a difference. Вземи легитимни заем винаги е бил голям проблем за хора, които се нуждаят от пари. Хората се нуждаят от заем са по-загрижени за кредитните и сигурност. Ако се интересувате за получаване на финансова помощ свържете се с мен. Sissy is headed to Dallas!